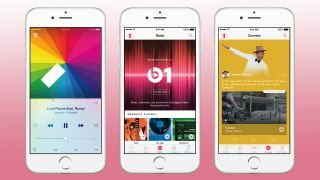 Apple is planning to shake up its Apple Music streaming service after launching just one year ago according to a report published by Bloomberg. The changes, which are expected to be announced at Apple's Worldwide Developers Conference in June, are rumored to include tighter integration between Apple's streaming and download services in addition to an overhaul of the service's user interface. In our review last year we noted that the biggest problems with Apple Music included its clunky app and a cluttered design. Apple's desire to fix these issues would appear to be a step in the right direction, but Bloomberg's report suggests that the service's problems go deeper than an unintuitive interface. Fundamentally the acquisition of Beats Music two years ago appears to have created a culture clash within Apple, whose traditional music download model is at odds with an all-you-can-eat streaming model. This clash is exemplified by an artist such as Adele, who has shunned streaming in favor of download. This results in her music being available on one Apple service (iTunes) while being unavailable on another (Apple Music). Departures following a company's acquisition are nothing new, but Beats saw a number of departures after the deal, including Beats Music Chief Executive Ian Rogers. Neither Rogers nor the other team members that have departed have publicly commented on their reasons for leaving, but it's thought that struggles with Apple's internal bureaucracy played a part. New product ideas were required to go through a difficult sign-off process, which prevented employees from getting new ideas off the ground. It is hoped that the combination of a management shakeup alongside the redesign will help Apple to better compete in terms of software. Apple's suite of software which includes Apple Maps and iCloud has traditionally lagged behind competing services such as Google Maps and Dropbox. Apple will increasingly need to see its Apple Music service succeed as iTunes loses ground to its streaming competitors and its hardware sales slump.